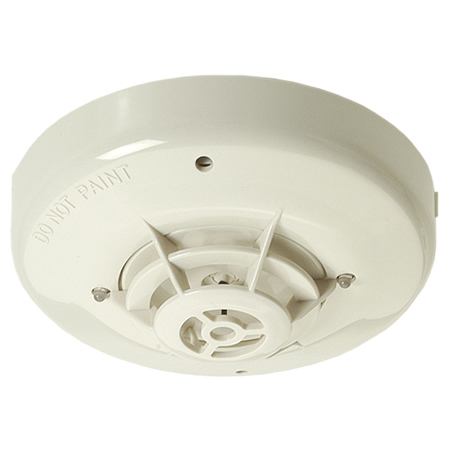 DCD-AE3M has a 60°C fixed temperature element and is ideal for use where medium ambient temperatures exist, such as drying rooms or where Smoke Detectors are unsuitable because of the presence of steam or cooking fumes such as in a kitchen/galley. DCD-CE3M has a 90°C fixed temperature element and ideal for use where high ambient temperatures exist, such as boiler rooms or where Smoke Detectors are unsuitable because of the presence of steam or cooking fumes such as in a kitchen/galley. Both detectors are supported on the majority of conventional systems. A third terminal provides remote indicator output.